Be in full control of which wallet you receive payments in. Payments go directly from the customer to you. Automagically detect unique payments from endless customers using one wallet address. Optional HD wallet support. 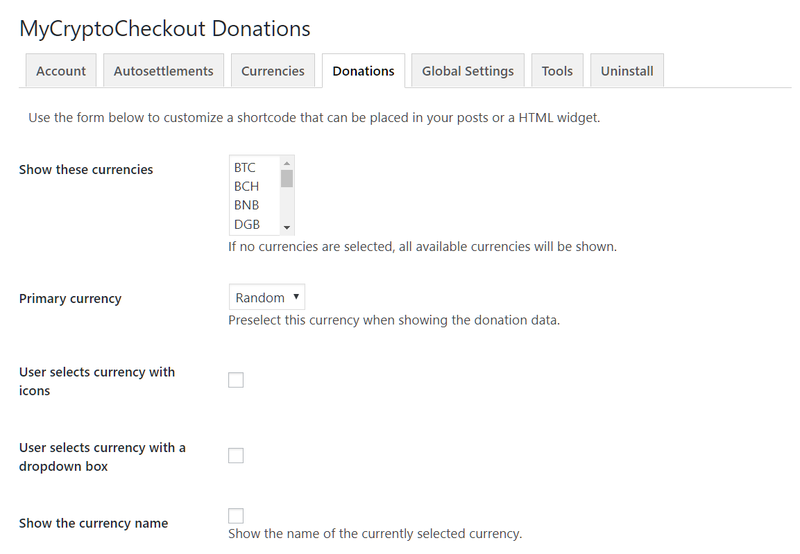 Accept cryptocurrency donations directly on your website with a slick and responsive widget. Your donation data stays with you and visitors remain on your site during the whole process. Your MyCryptoCheckout install is self-hosted so there is no KYC verification necessary. You decide who, what, why, and when to accept donations. Accept donations in minutes without the hassle of answering questions.